Day of:-St. Patrick Church 6:45a.m., 9:00a.m., 12:10p.m. photo taken by Janet Butler, Parish Photographer. All Rights Reserved. Liturgy and Worship is the "source and summit of the Christian life." When a parish family gathers around the Lord's table, it reflects on its past experiences and finds nourishment for all that lies ahead. 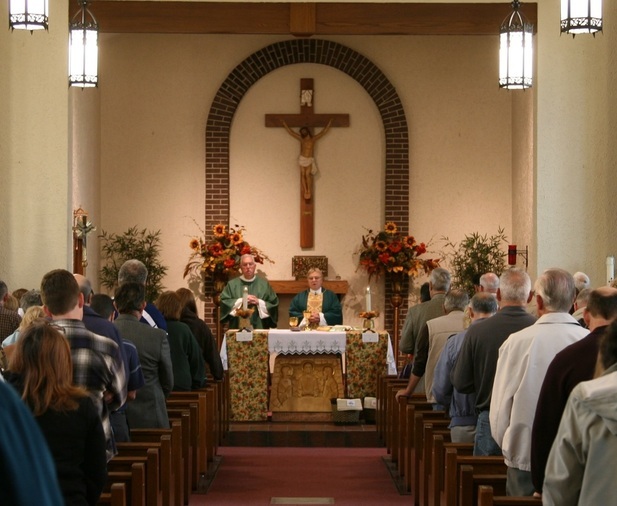 Well prepared and prayerful liturgies are the basis on which the Emmaus Catholic Community entire being will be built. Weekday: Monday - Friday @6:45a.m. and 9:00a.m. –St. Patrick Church- Vigil: 7:00p.m. - St. Patrick Church - Day of: 6:45a.m., 9:00a.m. & 12:10p.m.